Brendan Scanlon, who will take over as the basketball team’s captain next year, is all about getting better. The rising senior at Archbishop Ryan High School spends as much time as he can in the gym working on his game. He’ll take jumpers, he’ll attempt long-distance treys, he’ll do whatever he can, either with his friends or by himself to make himself better. But last year, Scanlon wasn’t on the field with his lacrosse teammates, and he didn’t miss them too much. If his schedule permitted, he would have been out there with his boys, but he was a little busy. “Everybody understood, we were trying to win a state championship,” Scanlon said. “We” are the Raiders basketball team, and last year Scanlon was a reserve on the team that made it to the semifinals of the state Class 6A playoffs. Scanlon is an All-Catholic long pole defender in lacrosse, and it didn’t take him long to get back into the swing of things with his teammates. Last year, he earned his second straight All-Catholic nomination, and in the process he helped Ryan have a better year. Recently, Scanlon received some exciting news that makes him look forward to his senior year even more. Shortly before the school year ended, he was named captain of the basketball team. The distinction is a huge honor because the Raiders have become one of the top teams in the city, and Scanlon understands leadership is a huge part of that success. It certainly was last year when Izaiah Brockington was the unquestioned leader of the team, both on and off the court. And Scanlon was paying attention. “I was excited because I learned a lot by just watching Izaiah Brockington work out,” Scanlon said. “I would go in the gym and he’d always be in there, just trying to get better. He’s a talented player, but he wanted it so much, I remember seeing him in there all the time. He got better because he put that work in. Scanlon is also working hard because the Raiders lose key players to graduation, so he’ll see an increased role. Last year, he came off the bench, and when he got the call, he was more of a role player. Next year, he’ll have a much bigger role. 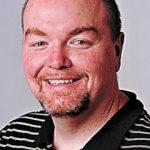 Ryan will be without the services of Brockington and fellow first-team All-Catholic selection Matiss Kulackovskis, as well as shooting guard Chris Palentino and big man Fred Taylor. But rising juniors Amin Bryant and Jaquill Stone and rising senior Devon Vargas return to the mix, so Scanlon is confident coach Joe Zeglinski and his troops will once again be among the best teams in the area. “When I was told I was going to be a captain, it was such an awesome feeling, it really gave me a lot of confidence,” Scanlon said. “It’s definitely helped in summer leagues. I try to provide energy. If I start, great, if I come off the bench, that’s great, too. I just try to come in and keep the competition up. The harder we compete, the better we’ll be. The better the basketball team does, the more lacrosse he’ll miss. 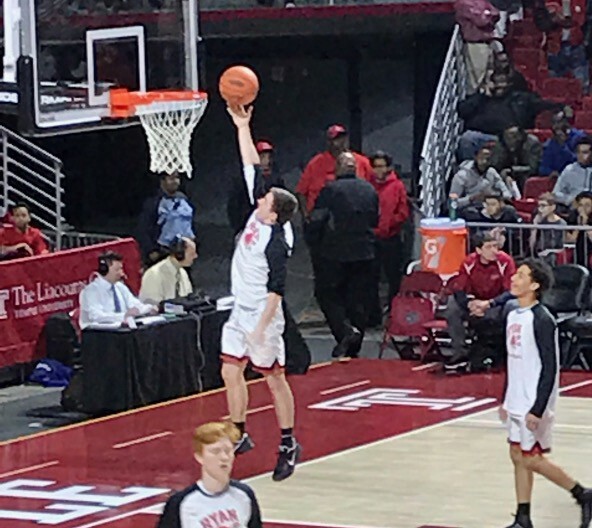 According to Scanlon, he loves both sports equally, and while individually he’s enjoyed more success in lacrosse, he’s had a lot of fun during the basketball runs. He hopes he’s able to have more achievements while wearing red and black.